Those dang beavers. I’m sure they have a purpose, but I wish it wasn’t flooding our pastures and washing out our roads. Beavers are nuisance animal here in Arkansas. They were once exterminated by trappers, but were reintroduced by the state. Now, we have to find population control methods because there are too many. Can’t we just leave a good thing alone? I can bust a hole in a beaver dam one day to drain an area, go back the next day, and the dam is built larger than before. Kinda frustrating when we’re trying to regain pasture ground from water-grass that taken over after years of wet soil due to the beavers. The beaver is the largest rodent in the U.S., reaching 4½ feet in length. The average adult weight is 40 to 60 pounds. The beaver’s tail is large and flat. It’s furred at the base, but is mostly covered with leathery scales. The tail is slapped loudly on the water to warn other beavers of possible danger. It also serves as a balancing platform when cutting down a tree on dry land or a rudder when swimming or diving. It’s not used to move mud to the dam or lodge as some have claimed. Mud is clutched to the beaver’s chest with its small hand-like front feet when transported. The beaver has large lungs and can stay underwater for up to 15 minutes. Like all wildlife, beaver have both positive and negative wildlife values. 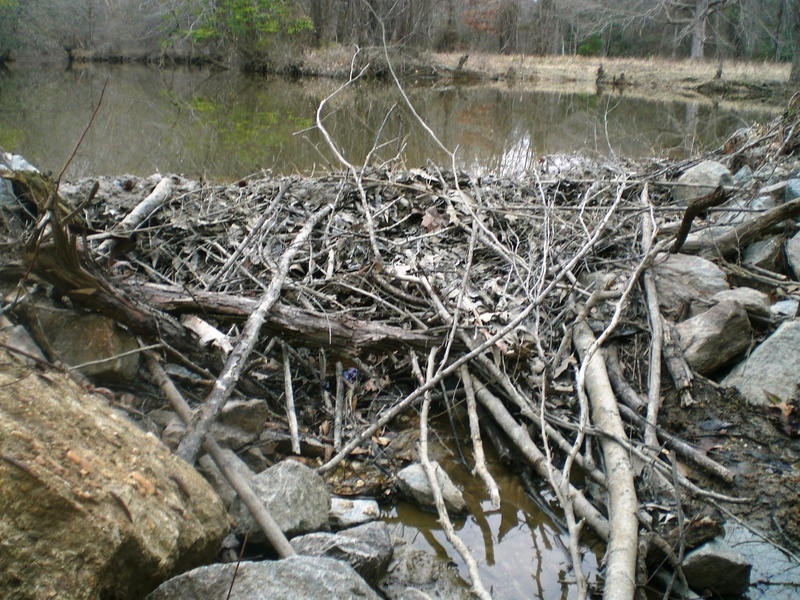 Their unique ability to construct dams and create substantial water impoundments can drastically change the ecology of wooded areas and natural marshes. Beavers are credited with creating some of the finest waterfowl habitat in the state. Mallards and wood ducks thrive in these areas, and deer may feed on aquatic plants growing along the edges. These same abilities create potential problems for humans, where flooding can damage roads, forests and farmland. In addition, beaver will fell ornamental shrubbery, fruit and shade trees for food when they have been planted near potential beaver habitat. via Arkansas Game and Fish Commission. To learn more about these animals, I found some great links. The New York Dept of Environmental Conservation has some great information on controlling nuisance beavers, and the University of Arkansas Extension provides a great fact sheet on preventing damage from beavers. I know in Wyoming we had prairie dogs that would dig their community in the middle of the hay pasture and in Montana the badgers will dig holes in the middle of the county road. What nuisance animals are in your area that affect farm or ranch production? In Minnesota, we have a problem with raccoons. They shred plastic on our bunkers in an effort to eat our silage. They spread disease by using our feed as a restroom. They also hang out around grain bins trying to find a spot they can get some grain out. We have lots of wildlife around our farm, but raccoons are the ones I hear the farmer complain about the most. Good luck! We have the same issues on a farm up north, and they are a royal pain!